Color Atlas of Dermatology is an illustrated guide to the broad spectrum of dermatological pathologies. This easy-to-use book provides a wealth of practical knowledge essential in both daily practice and when planning treatment. The atlas organizes the main areas of clinical dermatology in a user-friendly format presenting short, precise descriptions on the left and illustrative images on the right. This text brings you the most practical and comprehensive information. It begins with the basic principles of dermatological practice, followed by a thorough study of each disease accompanied by techniques for diagnoses and treatment. Treatment procedures include surgery, pharmacotherapy, and the physical modalities. The instructive color plates are an invaluable aid in visualizing even the most complex relationships. 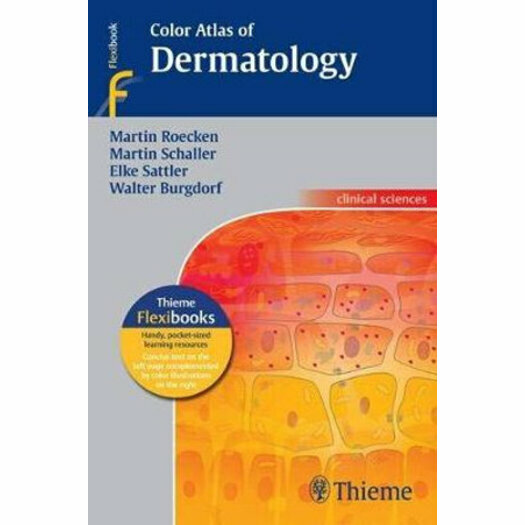 The Color Atlas of Dermatology is a handy clinical reference for dermatologists and general practitioners, as well as an excellent review tool for medical students.